The spring season brings a much-needed feeling of revitalization after winter’s long snowy months. One way to bring that sensation into your home is with a spring cleaning. This doesn’t just mean cleaning windows or emptying your fridge; it is an opportunity to completely declutter and organize your home by getting rid of unneeded items. Your first instinct may be to throw away or donate, but there’s another option- selling. What you may perceive as discarded trash can be transformed into extra funds for your debt reduction plan. Everyone has clothing that is either the wrong size or an undesirable style. Most of the time, these pieces stay shoved into your closet’s farthest corner never to see the light of day. Transform these unwanted garments into extra cash in your wallet by selling them at online customer-to-customer retail sites like eBay or Depop. Creating an account and posting your items is easy, but there are a few tips you should follow to get the most out of each piece. When posting, have someone model the clothing in your photos. This small addition helps potential customers fully comprehend the clothing’s fit and initiate a quicker sale. Also, include the model’s measurements in the description to add more clarification. When deciding on a price, do your research on comparable items to keep your final number competitive. Don’t forget to add in the cost of shipping and packing to your final price. Those addicted to sports and fitness love upgrading their gear to the newest and best options available in the market. Unfortunately, the formerly used sports equipment often lay forgotten in your garage or storage unit. These high-end items are costly, and athletes are always on the hunt for a deal. Help these sports nuts up their game with a lower cost alternative while you make extra cash on the side. Sports equipment sellers have many choices in turning their used items into pocket money with online marketplaces and second-hand shops. The demand is typically high for these types of items, but you can do small upgrades to get even more. Sports and fitness are very rough on the accessories used, causing scratches and breakage. Before selling, make sure to repair all items to the best of your ability. A broken tennis racket or a rusted bicycle won’t yield the same value as ones in better condition. When choosing a selling option, take into consideration the size. 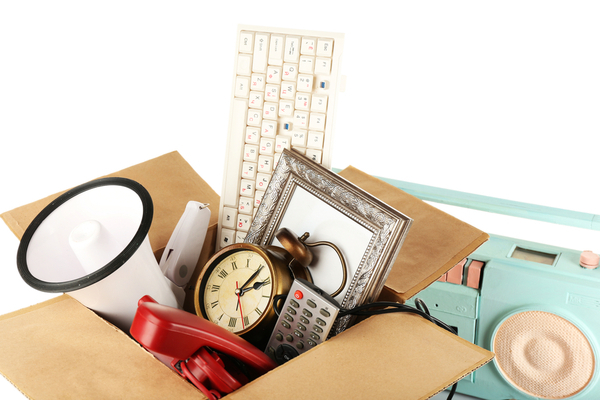 A second-hand shop may offer less, but shipping cumbersome equipment can quickly turn pricey. Spring cleaning can be a gateway to decorating your home with new features and furniture. You can fund your home redesign by selling the furniture you currently have. Due to the generally large size of these items, you are limited to your immediate area when selling. Turn your used furniture into showpieces with a fresh layer of paint or wood stain. Both options disguise the regular wear and tear of daily use. The sale of unused home goods can help some debt sufferers pay monthly bills, but for many that isn’t enough. Life can quickly become overwhelming for those living with endless calls from debt collectors and mountaining credit card payments. You’re not alone in your financial situation. CreditGUARD has helped thousands of others turn their debt around. To learn more about debt management and credit counseling options, call CreditGUARD today to speak to one of our certified credit counselors at 1-800-500-6489.